Every Saturday, I host a feature called Kid Konnection -- a regular weekend feature about anything related to children's books. This week, I'm going to share with you an amazing new middle grade book/graphic novel! Ever since I attended this year's BEA, I have wanted to read WONDERSTRUCK by Brian Selznick. Mr. Selznick spoke at the Children's Author Breakfast and I was utterly captivated with his drawings, his story, and basically... him. He just struck me as an amazingly talented artist, who also had a great sense of humor, and just an overall nice guy. He showed us a video of some of the illustrations in his new book WONDERSTRUCK, and I was just blown away -- as was everyone else in the audience. His illustrations were just breath-taking! I wasn't quite sure what to expect when I picked up WONDERSTRUCK. I had already seen a few reviews that said it was excellent, but beyond that, I wanted to see for myself. I was pretty impressed with the size of the book and wondered if it would appeal to kids as young as 8 or 9; however, I quickly skimmed through it and saw that there were hundreds of illustrations (actually 460 pages of drawings!) I actually ended up reading the entire novel during a two hour car ride, and I can definitely say that kids and adults alike will love this story. WONDERSTRUCK is actually two very separate stories... until they come together into one! I hesitate to tell you much more because I think WONDERSTRUCK should be experienced. But I will give you a little bit of background just to capture your interest! The first story in WONDERSTRUCK is entirely narrative and tells the story of Ben, a young boy who doesn't feel as if he belongs. The story takes place in 1977 and begins a few months after Ben's mother unexpectedly died. Ben is naturally missing his mother and longing to discover the identity of his father. The second story is told entirely in pictures and takes place in New York City 50 years earlier. It tells the story of Rose, a young deaf girl, who shares some of Ben's feelings, especially the one of isolation. At first, it appears the the two alternating stories are unrelated; however, as both stories unfold, an astute child will begin to see some common themes... and they even might see where the story is heading. As both stories progress, they similarities come to life and they actually begin to intersect. When both stories finally come together towards the end of the novel, quite a few surprises are revealed; and I, for one, was deeply touched. As far as I'm concerned WONDERSTRUCK is a work of genius -- seriously, I thought it was that good! It goes without saying that it's unlike any book I've ever read because of the illustrations. However, the beauty of this novel also lies in how the two stories are first presented and then how they eventually come together. It's pure magic, I tell you! As a reader, I devoured this book and loved everything about it -- from the characters, to the settings, to the stories, to the illustrations... the list goes on and on. However, I am also going to put on my "mom hat" and tell you some of the things that I appreciated about this book. First and foremost, this book deserves to be read and discussed -- think: classroom discussions and/or book clubs. It touches upon so many wonderful themes and important issues. Some of the topics that I would want to explore with my own kids include isolation, deafness, friendship, parent/child relationships, self discovery, independence, belonging, secrets, and responsibility. Another wonderful thing about this book is that it is actually educational as well as entertaining. The characters in the book visit museums and learn some fascinating historical information. In addition, there are references to major events that occurred in New York City (I really can't be more specific on this because I don't want to spoil anything!) And finally, I love that the mix of words and pictures will encourage even the most reluctant of readers to pick up this book and actually want to read it. It is with more than a little embarrassment when I admit that I have not read Mr. Selznick's last book THE INVENTION OF HUGO CABRET. If it's anywhere near as good as WONDERSTRUCK, then I am sure to enjoy it. I love that Mr. Selznick has taken what he's "learned" while writing and illustrating THE INVENTION OF HUGO CABRET and incorporated it into his new novel. He must be a very quick student because I thought WONDERSTRUCK was pretty darn near perfect! As an aside, the movie version of THE INVENTION OF HUGO CABRET, directed by Martin Scorcese, will be out soon; and I need to read the book prior to taking my kids to see the film. I'm thinking this might be a great read-along book for my kids and me! Run, don't walk, and get yourself a copy of WONDERSTRUCK -- you won't be able to put this book down! Prepare to be struck by the wonder of WONDERSTRUCK! Thanks to the publisher for sending a copy of this incredible book! 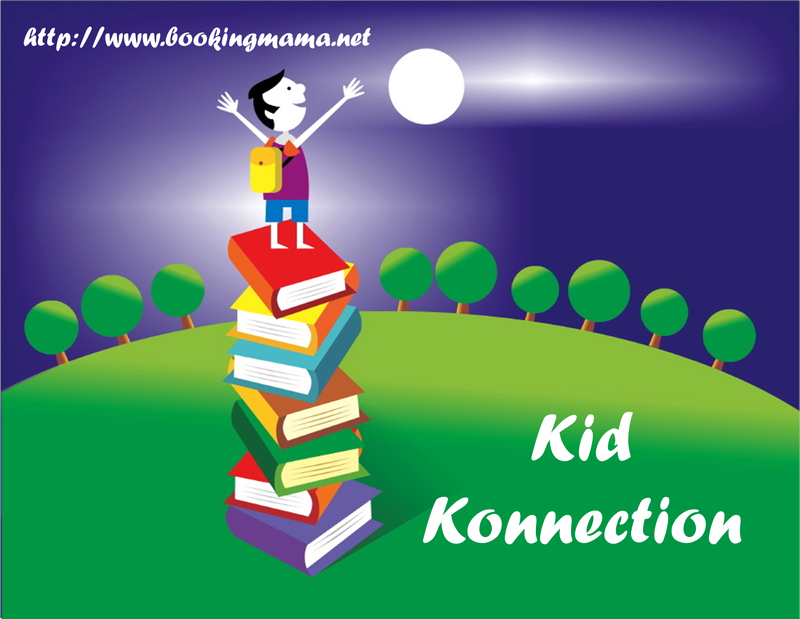 Konnection and share a post about anything related to children's books (picture, middle grade, or young adult) from the past week, please leave a comment as well as a link below with your name/blog name and the title of the book! Feel free to grab the little button too! I definitely want to read this book very soon! I've been drooling over it since I started seeing it on book blogs a few months back. I reviewed this book today too, but your review is much better than man. I LOVED this book and feel sure I will read it again. Hugo Cabret is totally wonderful! I haven't read this one yet, but from what I've heard it's just as good! WONDERSTRUCK *is* amazing - what a talent!